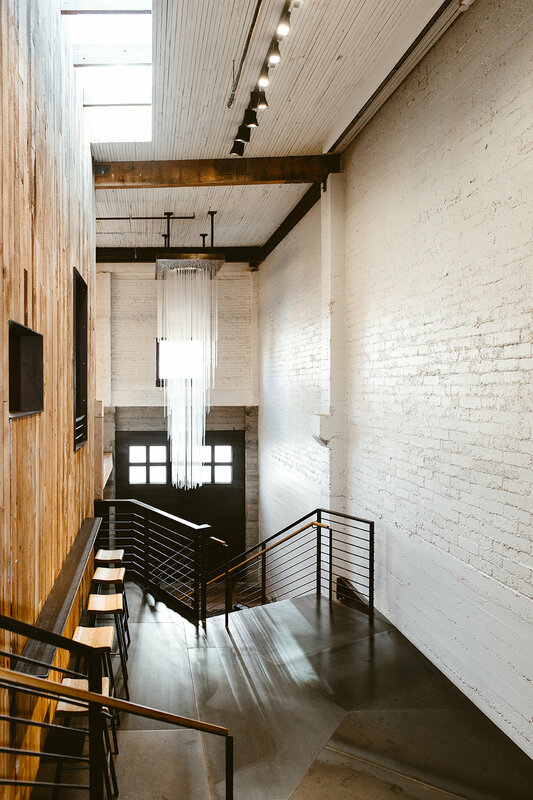 Located in the heart of Downtown Seattle’s bustling Belltown neighborhood, Block 41 is an award winning, unique, industrial chic event venue ideal for weddings, fashion shows, conferences, fundraisers, photo shoots and so much more. With two light-filled and spacious floors brimming with wood, steel and concrete details, we have curated the perfect events venue, limited only by the reach of your dreams and creativity. Add some spice and wow factor to your next product launch, holiday party, employee appreciation event or fundraising gala at Block 41. From groups of 100 to 700, the options are truly endless. With natural light coming from every direction to highlight wood, steel, leather and concrete accents, you won't find a better backdrop for your next photo or video shoot. The bright and airy Bert & Tot Ballroom is on the second floor, elevated above the bustle of Bell Street with daylight streaming in from three sides. 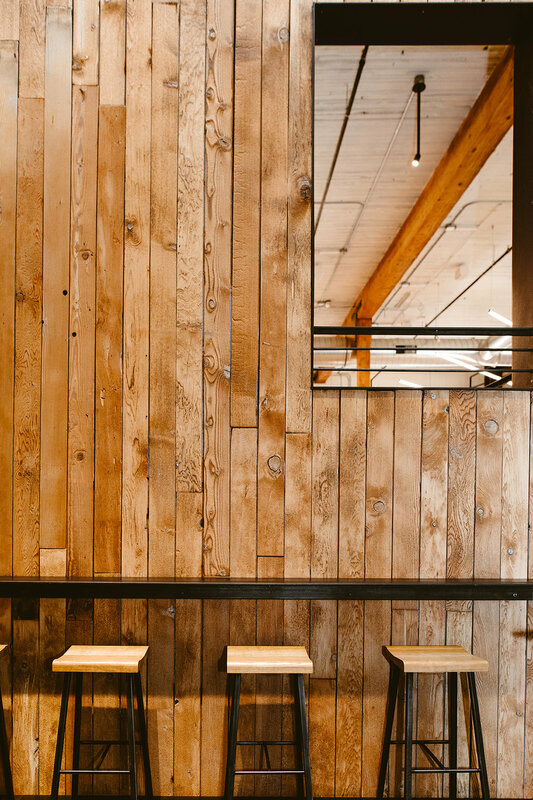 The Ballroom is a blend of luxury and industrial chic with wide plank oak floors, brick and board-formed concrete walls, leather-wrapped columns, blackened steel, and massive old-growth timber. Amenities include a fully equipped prep kitchen, modern ADA rest rooms, a full air handling system, and state-of-the-art AV equipment with two projectors and retractable screens. As an added bonus, the ballroom is connected to the Outdoor Courtyard, a landscaped oasis accessible through a large glass roll-up door. Wedding Ceremonies & Receptions, Non-Profit & School Fundraisers, Auctions & Galas, Concerts, Networking Events, Seminars, Workshops & Conferences, Food & Wine Tastings and more. The Ewing Theater is equipped with an expandable DMX control lighting system and state-of-the-art AV equipment, providing everything you need for a disco, fashion show, photo shoot or Las Vegas-style casino experience. It can also be a calm focused space for meetings, product launches, or training sessions. Modern amenities in the theater are thoughtfully blended into the historical elements of the building’s lower level with raw, board-formed concrete walls, unfinished Douglas fir support structure and polished concrete floors and with a retractable wall, the theater can be separated into two smaller spaces. Convenient load-in and load-out is provided through a large roll-up door accessed through the alley. The Ewing Theater also comes with a fully equipped prep kitchen and a luxurious Green Room complete with shower, sink, vanity, chandelier and seating area. After Parties, Product Launches, Ceremonies & Receptions, Seminars, Conferences & Meetings, School Auctions, Non-Profit Fundraisers, Proms & Dances, Birthday Parties, Bar or Bat Mitzvahs and More. The Courtyard is Block 41’s secret garden. Tucked into the heart of busy Belltown, this secluded outdoor space is private and serene and at the same time energized by the surrounding presence of the city. It is a landscaped garden of delights, from the whimsical “Greetings” mural by graffiti artist Victor Vong to the magically illuminated stainless steel fence created by artist Stephen Hirt. The Courtyard’s 12-foot tall living wall and evergreen landscape introduce nature into the space and create a welcoming oasis within downtown Seattle. The large ipé wood deck is perfect for banquet seating whether open to the stars or tented. The Courtyard merges seamlessly with the Bert & Tot Ballroom through a large glass roll-up door. Cocktails Under the Stars, Sparkler Send-Offs, Food Trucks and Carts, Concerts, Yard Games, Luncheons, Rehearsal Dinners and More.